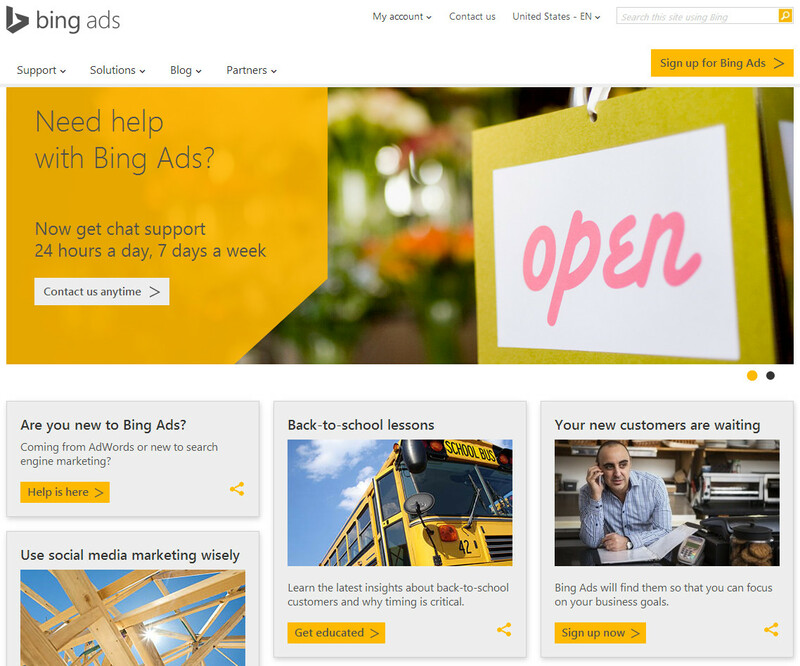 Redmond, Washington–Bing Ads is expanding its marketing options, in an attempt to draw more advertisers to its platform. The search and tech company still remains far behind Google Adwords, but is making strides to carve-out a niche which provides more features. Advertising through paid search is up 30 percent from a year ago, with mobile ad clicks rising 133 percent, according to general manager for Microsoft’s Search Network, David Pann. The search and software giant is looking toward the not-to-distant future, fiscal year 2015, when it will provide a larger scale, quicker data insights, reduced friction; plus, new ad formats. Bing’s fiscal year 2014 came to an official close on June 30th. The platform will add 100 new options, one of which will be call extensions, allowing users to click to see a phone number. Bing will also place a bit more effort in product ads, something Google is reaping large benefits from, and seeks to continue to expand its advertiser reach to more countries. Pann also wrote that the company has experienced double-digit revenue-per-search growth in the course of a year, an announcement which comes after the search portal doubled the number of keywords available in its ad platform. This puts its current stock of keywords up to 100,000 and the company pledges to raise that amount to 1 million by the end of this year. The Bing ad portal used to have a lengthy lag time, up to four hours for the latest reporting, but it now boasts 30 minute performance reports, with a continued goal to reduce latency. Another feature will allow marketers to create and manage insertion orders digitally. The largest challenge, however, will be poaching market share away from Google AdWords, which dominates pay-per-click advertising. Pann himself conceded that improving on the margins is the only current methodology Bing can use to compete with the world’s largest search engine when it comes to paid search ads. Bing announced in June that it would retire Ads Express after only a year of operation, stating that its lack of user control proved it to be unpopular with businesses.